In January, we had to unexpectedly say good-bye to my grandpa as he came down with some lung infection and died two days later. As an extended family, this was really the first time we’ve experienced death in the family with someone that we were close to. As hard and shocking as it was, we are so blessed to have a large family that is close to be a source of encouragement. We had a great time celebrating my Grandpa’s homegoing and that his faith became his sight! During the week that we were all together and during his memorial service, we talked a lot about Heaven. Many people came up to us repeating things about Heaven that they had learned through a book my grandpa wrote and through classes that he taught at his church. I was convicted by our daughter’s wonder of Heaven. I know she thinks of it often because she talks about it often. She once told someone at the store that “Daddy went to work, and Grandpa went to Heaven!” If she wonders about Heaven without really knowing a lot, how much more should we, who know Christ and know what is to come? We are taught this often at FBC, but as we remind ourselves daily of the Gospel, we need to also relish in the blessings of the Gospel that are to come. Milton Vincent notes in The Gospel Primer that the Apostles Paul and John both can’t talk about the Gospel blessings without longing to be with Jesus (Romans 5-8; 1 John 3) and says “Neither will I be able to think long upon Gospel blessings without thinking also of the infinite glories which will be mine to enjoy in Heaven.” (pg. 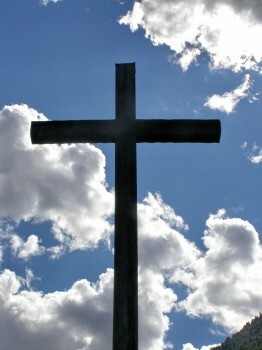 44) I pray that I will long so much more for Heaven and most importantly, for the day when I can see Jesus face to face!